When you join the KFC Colonel's Club Loyalty eClub you will receive coupons, promotions, and recipes throughout the year via e-mail to use at KFC restaurants throughout the U.S. KFC refers to its Colonel's Club eClub as "an ancient and venerated order of fried chicken enthusiasts from across the globe." Currently, there are no signup freebies, discounts, coupons, gifts, specials, promotions or specials offered to new KFC Colonel's Club members at signup - just a welcome letter to your email and an invitation to "tell us a bit about yourself," but with no link provided to do so. The purpose of most restaurant customer loyalty programs is to show appreciation to frequent diners and to encourage repeat visits. Fill out the online form to register for the KFC Colonel's eClub coupons, discounts, and freebies. There is currently no specified freebie, coupon or discount offered to KFC Colonel's Club members. There are more than 40,000 KFC restaurant locations worldwide in 115 countries and territories. 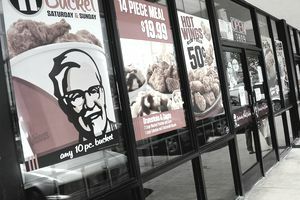 The coupons, freebies, discounts, and gifts offered at different KFC restaurant locations may be drastically different. This is due to the different cultural attitudes and expectations in each of these countries, as well as the laws which govern coupons, freebies, discounts, gifts, promotions, and contests in each country. The first International Kentucky Fried Chicken restaurant opened up in Calgary, Canada in 1953, just one year after the Kentucky Fried Chicken U.S. restaurant franchising began. Laos and Albania are the two newest countries which will join the KFC global franchise list when they open restaurant locations in 2016. Denmark KFC - An Indian cuisine menu has items like a chicken wrap with curry sauce and black pepper potatoes. A hot vanilla tart is on the dessert menu, which is a more traditional Danish offering. China KFC - Shrimp Burgers, Double Sichuan Spicy Chicken Burgers, Curry Pork Chop with Rice, and Italian Vegetable Chicken with Rice have all been served at Chinese KFC franchised restaurants. 1906 - The year Harland David Sanders falsified his birth certificate in order to enlist in the U.S. Army. 1935 - The year Sanders an honorary commission of Colonel. He received a second honorary "Colonel" commission in 1949, and after that, he embraced the "Colonel Sanders" persona by dressing the part and growing facial hair. After that, Colonel Sanders became a brand ambassador, company spokesperson, and somewhat of a fictional character of his own making.